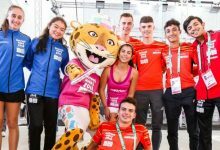 Round two of the Hong Kong Open saw more upsets in the women’s draw and a first-ever World Series quarter-final spot for Spain’s Borja Golan. Kasey Brown and Camille Serme both upset top eight seeds while Omeay Abdel Kawy followed up her round one vicorty over the second seed with another upset win. Golan overcame Egyptian eighth seed Mohamed El Shorbagy to reach the last eight along with the remaing seven seeds. 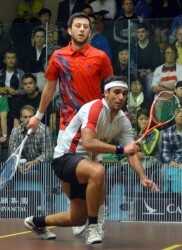 Nearly nine years after making his first appearance in the main draw of a PSA World Series event, Spaniard Borja Golan has made his long-awaited breakthrough into the quarter-finals of one of the PSA Tour’s elite championships after upsetting Egypt’s No8 seed Mohamed El Shorbagy in today’s second round of the Cathay Pacific Sun Hung Kai Financial Hong Kong Squash Open at the Hong Kong Squash Centre. 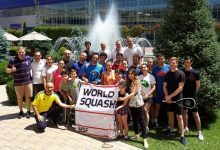 This is Golan’s 33rd appearance in a World Series event since earning a place in the 2003 World Open in Pakistan – since when the 29-year-old from Santiago de Compostela reached a career-high world No10 to become Spain’s highest-ranked player of all-time. But he also suffered a career-threatening knee injury in 2009 – resulting in a lengthy layoff which saw him plummet out of the world top 100. 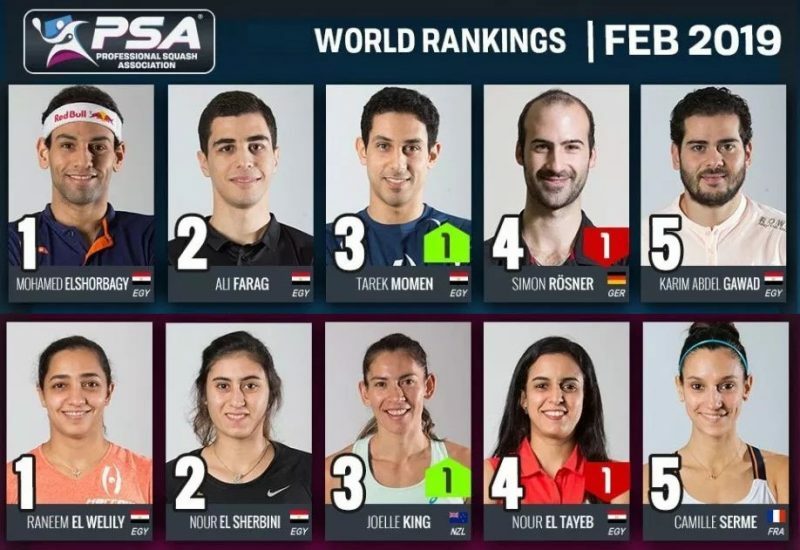 And today, now just eight places away from his best-ever ranking, Golan stunned eighth seed Mohamed El Shorbagy – beating the world No7 from Egypt 11-6, 11-9, 8-11, 11-9 to become the only unseeded player in the last eight of the sixth PSA World Series event of the year. 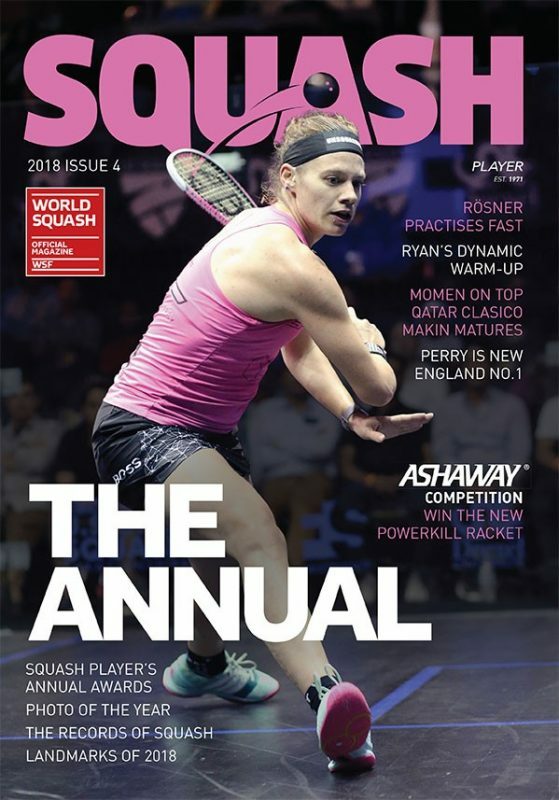 “When you play someone like that you have to play more than 100% – you have to fight for each point as if it was the last one,” Golan told www.squashsite.com afterwards. The Spaniard will now line up against top seed James Willstrop after the world number one from England stopped veteran Hong Kong Open campaigner Ong Beng Hee, the 32-year-old Malaysian who made his debut in the event in the 2000 championship, 11-8, 11-9, 11-7 in 68 minutes. Beng Hee stole the hearts of the Centre Court crowd with a skilful and spirited performance that earned him a standing ovation at the end. 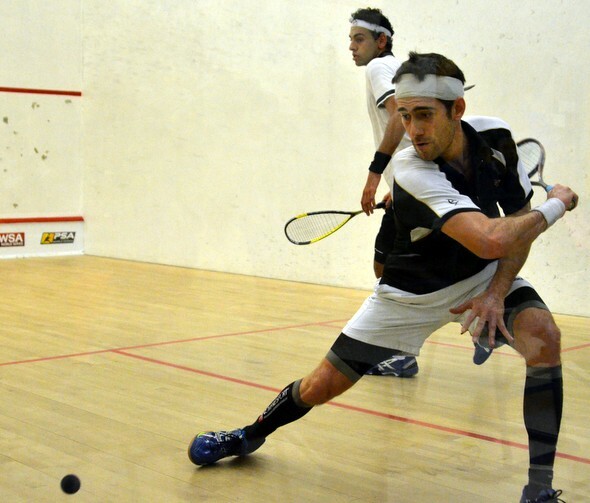 Willstrop is one of three Englishmen who will be in quarter-final action tomorrow. Peter Barker, the No6 seed from London, fought back from 6-10 down in the first game to beat top-ranked Australian Cameron Pilley 13-11, 11-8, 11-8 in 65 minutes. 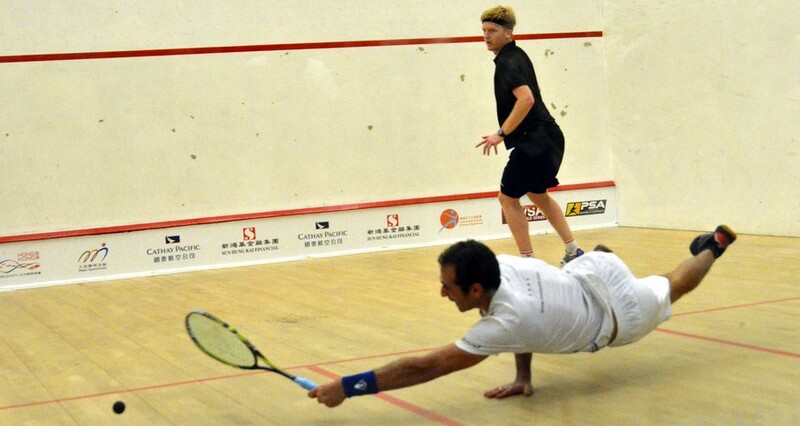 In the final match of the day – which for the second day in the championship finished well after midnight – second-seeded Englishman Nick Matthew saw off South African Stephen Coppinger 11-6, 11-6, 11-8. Matthew, the world No2 from Sheffield, will now face Egyptian maestro Amr Shabana, the four-time world champion who is celebrating a record 16th successive appearance in the Hong Kong Open. But at 0/2 down to unseeded Englishman Tom Richards, it looked as if the 33-year-old from Cairo’s bid for a sixth title might be over. 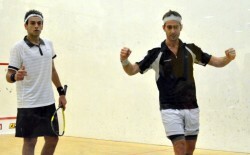 But the seventh seed showed why he is still one of the most admired and gifted players when he fought back to take the next three games – and record a sensational 10-12, 10-12, 11-7, 11-7, 11-7 victory in 70 minutes to keep his title hopes alive. 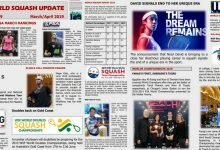 Unseeded Selby issued this comment shortly after extending fourth seed Karim Darwish for 65 minutes in a match which ultimately saw the Egyptian prevail 6-11, 11-4, 12-10, 11-6. Former champion Ramy Ashour became Egypt’s third winner of the day when he beat Indian number one Saurav Ghosal11-7, 11-5, 10-12, 12-10 in 61 minutes. 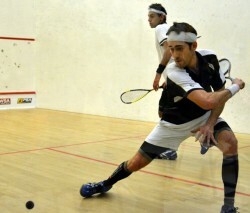 Gregory Gaultier kept French hopes for success alive when he defeated Swiss number one Nicolas Mueller 11-4, 11-5, 11-5. The third seed from Aix-en-Provence, bidding the reach the final for the fifth time, but win it for the first, now faces Ashour in the pair’s 20th Tour clash since December 2005. 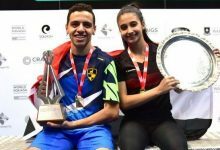 Omneya Abdel Kawy’s timely return to top form prompted a further casualty among the seeded players in the Cathay Pacific Sun Hung Kai Financial Hong Kong Squash Open round two. 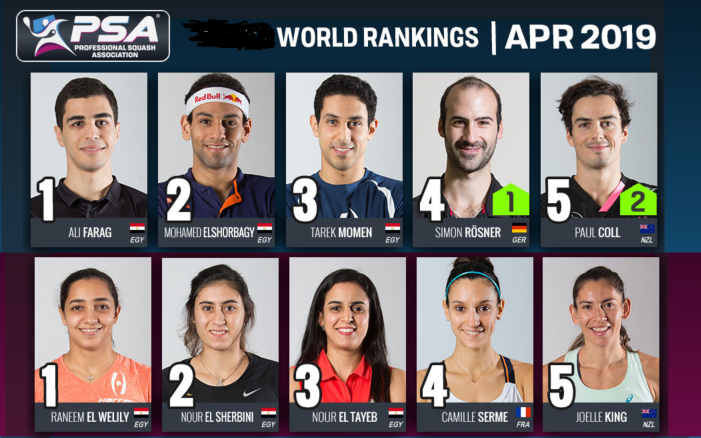 The Egyptian world No.22 shocked audiences yesterday with a clinical first round deconstruction of second seed Laura Massaro, and continued her run today with a equally strong performance against tenth seed Joelle King. 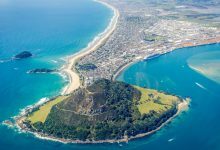 The 27-year-old, who reached No.4 in the WSA rankings two years ago, came back from a game down to force a deciding fifth game against the New Zealander, and completed the scalp in 62-minutes. Kawy will now play Alison Waters in tomorrow’s quarter-finals, as the Englishwoman defeatedLine Hansen in a four-game, 38-minutes clash. 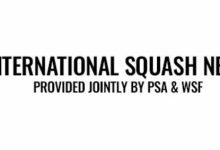 Ninth seed Kasey Brown also caused an upset in the seeding’s this afternoon, as the Australian beat Madeline Perry of Ireland. Brown took a confident two game lead in this encounter, before Perry dug in her heals to prevent a straight games loss. The No.5 seed claimed the third game 15-13 in the tiebreak, but was unable to maintain her edge as Brown closed out the match on the hour-mark. Brown will face top seed Nicol David in next round, after the Malaysian World Champion dismissed the last remaining home hope from the competition, 16th seed Joey Chan, in three games. 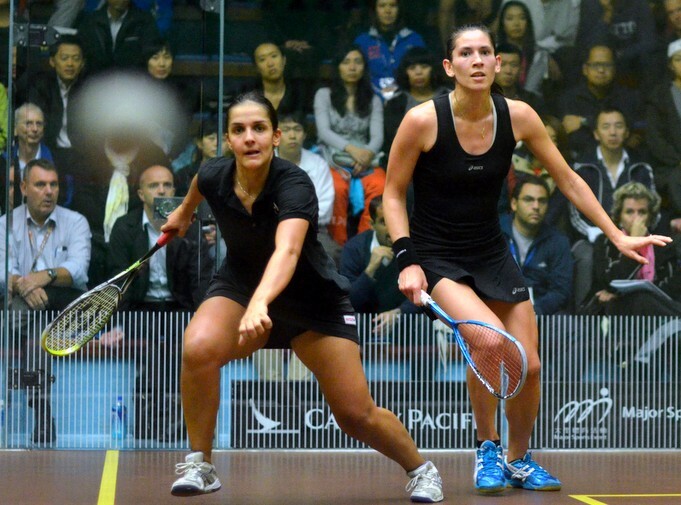 Camille Serme was leading Malaysia’s Low Wee Wern in the fourth game, when the No.7 seed suffered a pulled hamstring and was forced to retire. Serme, seeded twelfth for the event, progresses to her second World Series quarter-final of the season where she will play experienced Rachael Grinham. Grinham defeated resilient qualifier Joshana Chinappa in four games to reach her first World Series quarter-final round since the KL Open back in March. 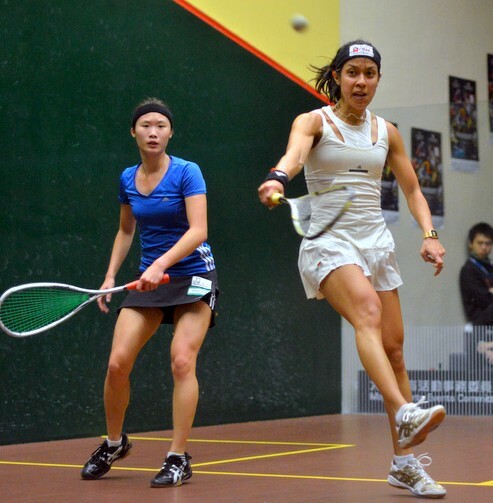 Third seed Jenny Duncalf continued her Hong Kong Open run by defeating Dipika Pallikal of India. The Englishwoman put down the No.12 seed in four games to set up a clash with Natalie Grinham tomorrow. 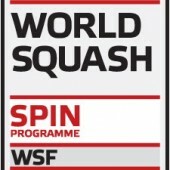 The Dutch international dispatched remaining qualifier Nicolette Fernandes in four games to set up an 18th WSA head-to-head against Duncalf. 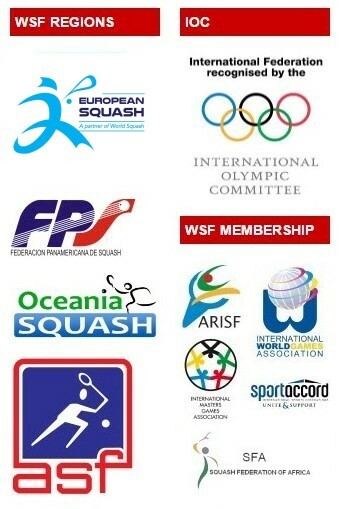 Hong Kong Quarter-Finals - withdrawals and upsets !